We drive more visitors to your website and generate more leads by exploiting the ever-changing digital landscape. As digital marketing and technical SEO consultants we ensure your website is seen by potential customers. We also create content, manage your social media and build your brand. We offer a bespoke SEO consultancy service that looks at your company’s individual aims and analyses how to achieve them. We increase organic rankings but also gain targeted visitors, more sales and better online exposure. We provide a professional content-writing service generating new, genuinely interesting content that can be integrated into your website, used to engage customers via social media and grow your online presence. Effective SEO and digital marketing drives visitors to your website but for real success visitors need to become customers. Our CRO process ensures your business secures maximum conversions, leads and sales from your web traffic. Digital marketing encompasses powerful techniques to improve your online presence and increase the number and quality of visitors to your website. It includes Content Marketing, SEO, Conversion Rate Optimisation and Social Media. If you are looking for SEO consultancy services to provide a personalised solution for your business, then Ditto Digital is right for you. Here is a simple overview of Search Engine Optimisation (SEO). For a more detailed description read What Is SEO. Organic Page 1 rankings are a long-term, cost-effective strategy to help build and grow a sustainable business. 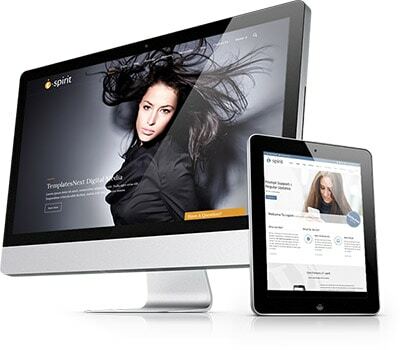 Done correctly, it ensures visitors to a website are properly targeted so they convert to customers. This requires a detailed analysis to find the right keywords – these are the foundations of a successful SEO campaign to ensure increased traffic leads to increased sales. The search terms or keywords that a business is targeting are fundamental to success. They are required within the website itself but also elsewhere online to ensure the right visitors reach the website. Keyword research should be data-driven to understand potential traffic from each keyword and the level of competition. Looking in detail at how competitors are handling their organic search efforts can highlight gaps to target that may create quick wins. It can also reveal opportunities to collaborate with related businesses to generate valuable links and areas in which to surpass the competition with more effective content. Off-site SEO focuses mainly on building authority via high-quality, relevant backlinks to a website. These are usually gained via collaboration with other websites. These could be news sites, professional organisations, blogs or other related, but non-competing, businesses. Producing high quality content in the form of articles, videos or graphics that other website owners will mention and link to, or publish on their own websites, is one way of securing quality backlinks. But this requires a content marketing strategy and concerted effort to promote that content to be successful. Click here for a more detailed description of SEO. Technical SEO, Digital Marketing, Link Building, Content Marketing, Website Audits, Conversion Rate Optimisation and Social Media Management.